Somewhere between Hawaii and California, a vast inflatable coastline sweeps through the sea. Beneath a six hundred metre-long float, a three-metre deep skirt rakes the ocean. Forced along by wind and waves, it moves faster than the currents, bending as it travels to form a U-shaped net. Fish dive beneath to escape its advances, but as the system roams the water it gathers a strange catch. Braving gales and storms and resisting the corrosive effects of sea salt, System 001 sends signals to satellites overhead and boats close by to collect a haul unlike any other. This net is trawling the great Pacific Garbage Patch, and its job is to clean up the sea. 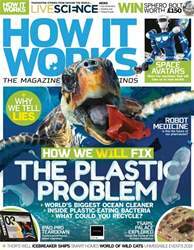 Plastic waste is choking the planet. 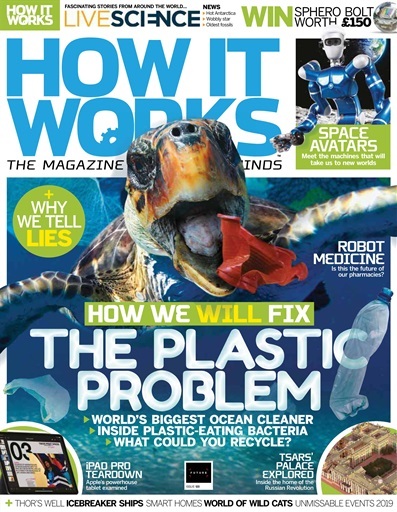 So in this issue, we explore what can we do to clean the trash from the oceans?